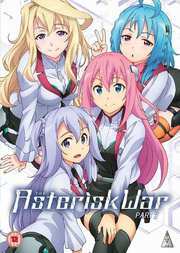 I should have been looking forward to the second season of The Asterisk War. 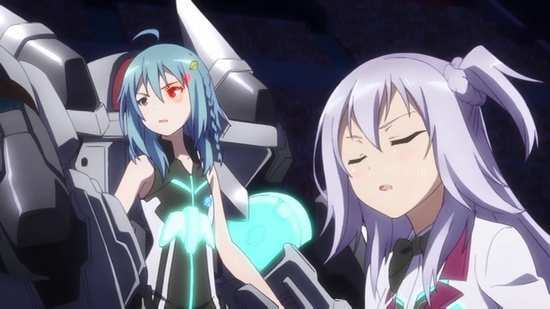 It may be another in a long line of light novel adaptations, that see an unlikely teenage boy transferring into an all-girls environment, where he unexpectedly has the talents to compete with them in whatever fanciful school battles arise (usually in giant robots), but The Asterisk War turned out to be one of the nicer examples of the oversubscribed genre. It may be the same old, same old, but I’d much rather watch it than Freezing, or Blade Dance of the Elementalers, or indeed Infinite Stratos. It’s just very likeable. 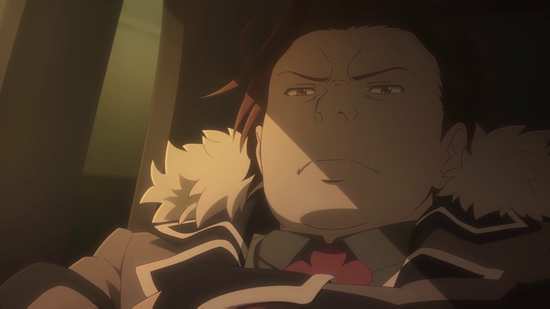 It’s also a little forgettable, as I realised when season 2 finally showed up for review. I reviewed Season 1 back in July, and had basically forgotten that I actually liked it, and only remembered its genre. You’ll probably have it easier than me, as once I posted the review, the release of season 1 got delayed to the middle of September. It’s really only been a six week gap for everyone else. Years before, a disaster called Invertia changed the world. A new species of human arose, the Genestella, people with special powers. In the Academy City also known as Asterisk, six rival schools compete in the Festa battle tournaments, where super-powered students with arcane weapons battle for standing. Following the footsteps of his sister Haruka, who disappeared some time previously, a boy named Ayako Amagiri transfers in to Seidoukan Academy, and manages to get on the wrong side of the class princess, Julis before his first lesson. Naturally they wind up as partners in the tournament. 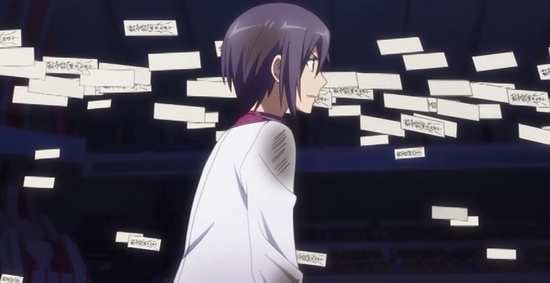 But Ayato’s abilities are special indeed, even if he’s labouring against an unwanted legacy from his sister. 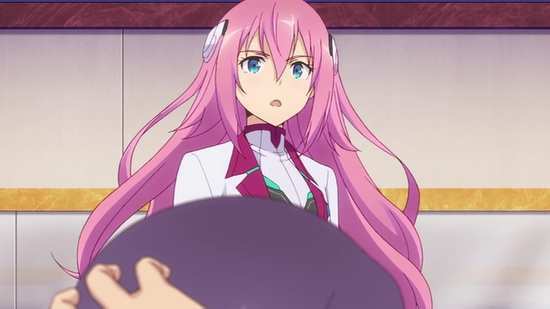 12 more episodes of The Asterisk War are presented in Season 2 across 2 DVDs from MVM. The show is also available on Blu-ray. The Asterisk War gets a 1.78:1 anamorphic NTSC transfer on these DVD discs, and one more time... get the Blu-ray. Madman Entertainment have authored these discs and just as with Girlish Number, they’re cutting corners to cut costs. Originally companies would get shows on digital masters from Japan, from which they would create masters to author discs from, HD masters for Blu-ray and for DVD. 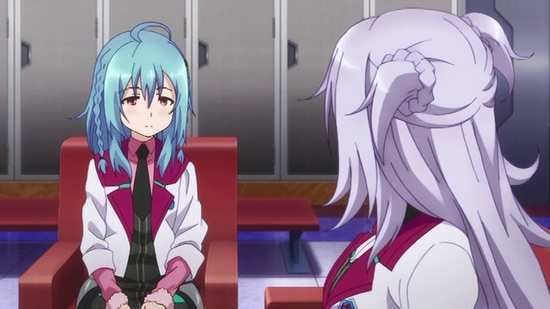 The Asterisk War is a Blu-ray only release in the US, and what would have happened in the past when it came to releasing it on DVD in Australia and the UK, is that Madman would have used the HD master to create the DVD. Now they are apparently ripping the Blu-ray, and downscaling that to SD resolution, and that is not the same. 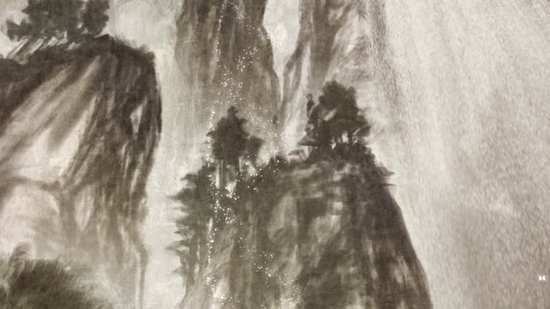 The picture quality suffers in the process, the image is soft, colours are muted, and detail is compromised. Anyway, the show is pretty enough to look at, with generic but appealing character designs, a nice shiny, future world design, and a lot of budget put into the eye-candy and action sequences. Of course this sort of harem show wouldn’t be complete without a bit of fan service, but it never goes over the top in this show. You have the choice between Dolby Digital 2.0 Stereo English and Japanese with optional translated subtitles, and this time the signs are optional as well. I was happy with the Japanese version, the actors suited to the appropriate character archetypes. The action comes across well, and the show gets some nice music, both to drive the action, and in terms of the theme songs. The subtitles are accurately timed and free of error, and I did little more than confirm that the dub exists, and can’t otherwise proffer an opinion on that. This collection introduced a new character, Flora, who in the Japanese version has a voice so high pitched and odd, that it must have come through a vocoder, and whenever she appeared, it would freak me out. Saya and Kirin are like Frank Bruno and Barry White in comparison. Disc 2 has the extra features, one textless opening, three textless endings, and trailers for Triage X, Shimoneta, Rampo Kitan: Game of Laplace, and Ninja Slayer. 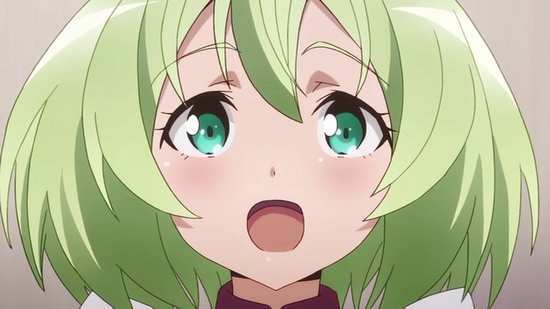 I enjoyed season 1 of The Asterisk War, and unsurprisingly the follow up season gave more of the same. 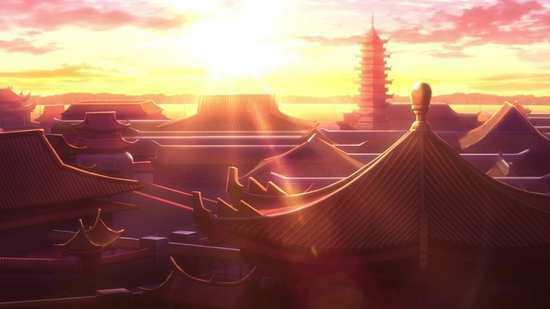 The premise, well-worn and oft repeated is given its ‘nicest’ outing here, with likeable characters, and a distinct lack of exploitative, crass nastiness bolstering its tournament anime chops. The story unfolds at a lively pace, keeping the viewer invested and entertained. 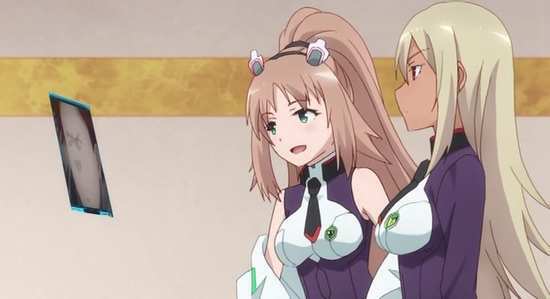 But in the end The Asterisk War joins a large history of anime that end on an infuriatingly open note, plaintively demanding a follow up series that never arrives. 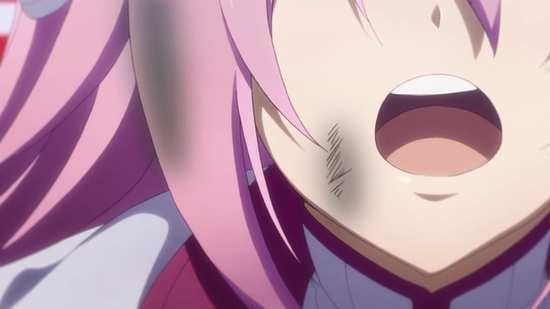 A whopping great ‘to be continued’ that never is, is the easiest way to sour me on a series, and given how pleasantly The Asterisk War played out, this time the open end is even more galling. For the most part, this collection is devoted to resolving the Phoenix Festa arc, the tag team tournament that these super-powered, lightsaber wielding teenagers compete in, to bring plaudits and recognition for their school in Asterisk City, as well as personal goals as well. For the tag team of Julis and Ayato, that means obtaining the resources to protect an orphanage in Julis’ home, and even though he’s reluctant to admit it to himself, finding out what happened to Ayato’s sister. In the latter stages of the tournament that we see here, the quarters, semis and final, the opponents get progressively tougher, while the schemes and plots get more and more underhand. This is all underlined when the little maid Flora shows up. She works for the royal family in Lieseltania, and Julis in particular, and coming from the orphanage, she’s an immediate reminder of what Julis is fighting for. 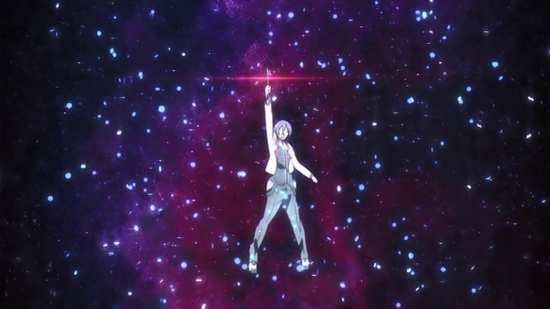 And then she gets kidnapped, the ransom being that Ayato no longer use his special powers in the tournament, putting them all at a disadvantage in the finals. Despite a voice that could strip paint, Flora is a likeable enough and sympathetic character. So as well as succeeding at the Phoenix Festa, they have to rescue Flora as well. Yet this story arc is all over by episode 21. What follows is a trip home to Lieseltania for Julis, and she invites everyone else, Ayato, Claudia, Saya and Kirin along. In most shows coming close to the end of their run, this would be a filler arc, light comedy, possibly even a bikini episode on a beach. 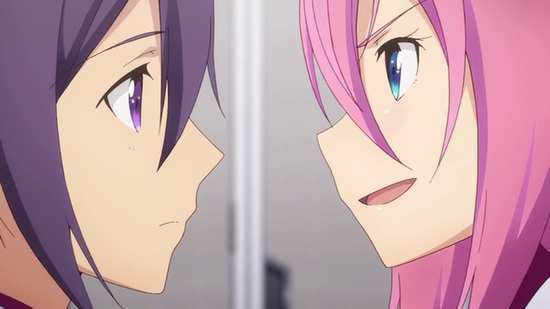 Instead we get a whole new story arc starting here, the machinations and dark dealings occurring in Julis homeland, a new villain to face, the intention for everyone to fight as a group in the upcoming Gryps Festa, new enemies, and the impotent plot twist where Ayato finds his sister, after a fashion. It’s all a desperate and plaintive plea for a new run of episodes, and it makes the final three in this collection an ultimately deflating and impotent conclusion. This is the kind of show where you’ll stick a post-it on the DVD case to remind you to watch only up to episode 21 the second time around. In terms of the discs, this is a slight improvement over the first collection in that all of the subtitles are soft, no burnt in signs this time, but otherwise the quality of the release is the same.